Our deli café offers fresh takeaway desserts, cakes, sandwiches and salads. The establishment is the perfect place to grab a quick bite with your international newspaper before a day of meetings or sightseeing. 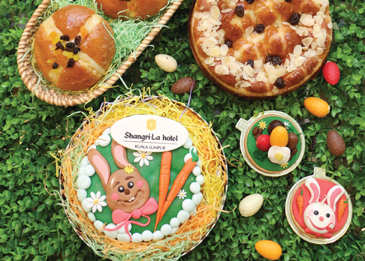 For this Lunar New Year, express your appreciation and good wishes to loved ones, friends and business associates with Lemon Garden 2Go’s beautifully-adorned hampers, laden with bountiful traditional treats. 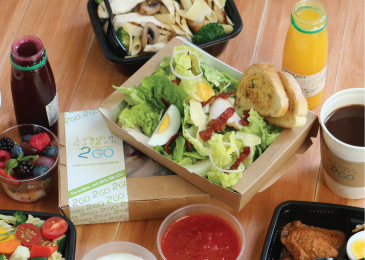 Dine-in with a set lunch at Lemon Garden 2Go and get a complimentary Set Lunch on your 6th visit! Please present the reward card when you visit Lemon Garden 2Go to get one (1) stamp for every set lunch item purchased. This card is not transferable and is valid for 30 days from the initial date of stamping. Any changes made to this card will render it void. 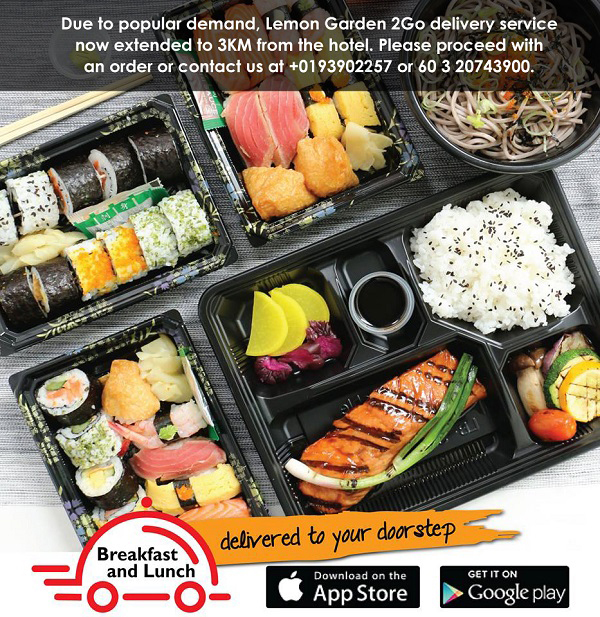 Collect five (5) stamps in one single reward card and get 1 x Lemon Garden 2Go’s Set Lunch for free on your next visit. Combining reward cards is not allowed. All stamp collection receipts must be attached together with the reward card as proof of purchase. Free Lemon Garden 2Go’s Set Lunch must be redeemed within 10 days after collecting the last stamp. Strictly no extension after expiry date. This reward card cannot be used as cash in part or in whole and cannot be used as a rebate. Please present this reward card to the service staff upon ordering. Shangri-La Hotel, Kuala Lumpur is not responsible for replacing lost, stolen or damaged cards and any accumulated stamps. This offer is valid from Monday to Saturday, except public holidays. Shangri-La Hotel, Kuala Lumpur reserves all rights to vary or terminate these conditions at any time without prior notice. Place your orders for breakfast or lunch and they will be delivered to you. The choice is wide and varied. 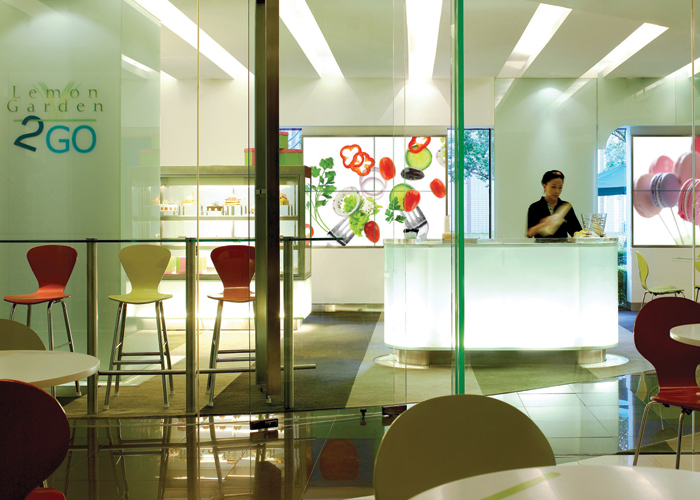 For breakfast, there are healthy and Western Breakfast Sets, Nasi Lemak, congee and sandwiches, among others. For lunch, there are salads, sandwiches, pasta, Hainanese Chicken Rice, Teriyaki Salmon bento box and more. For more information or to place your orders, call 019 390 2257. Minimum purchase of RM30 and above. 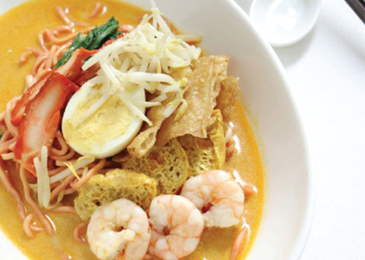 RM5 will be charged for delivery for orders less than RM30. Order will be delivered in 50 minutes within 3km radius. Kindly inform on any allergies or special dietary requirements. Prices are inclusive of 6% government tax. 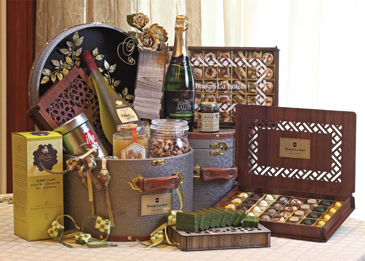 Spread joy and love in the upcoming Aidilfitri celebration by presenting your dearest with hampers packed with goodies and treats at Lemon Garden 2Go. Raya’s designer cake, main course and dessert are also available. A delicious, mouth-watering roasted turkey is a great centrepiece for a Christmas celebration. Pick your flavour from a classic roasted turkey or one with a delicious Asian twist. 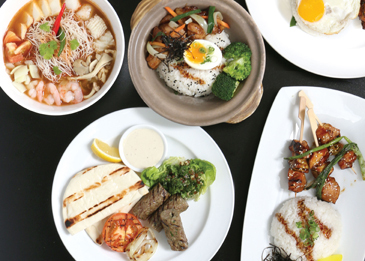 Discover internationally-themed lunch specials from Korean favourites to the Middle Eastern delicacies and more on every Wednesday! RM 12 nett per plate. Effective 1 Sept 2018, prices are inclusive of 10% service charge and 6% government tax. Shangri-La Hotel, Kuala Lumpur is going pink this October with a variety of delicious treats in honor of Breast Cancer Awareness Month! From Red Velvet Cake to Designer Chocolate Lollipops and Fresh Dipped Strawberries, the hotel has been raising awareness on breast cancer and providing support to Breast Cancer Welfare Association of Malaysia annually through the Pink October Campaign. Prices are inclusive of 10% service charge and 6% government tax.